Do you work for Windows 10? Learning about Windows 10? We can help. "The Best OS With the Current Great Technological Advantages." Its user interface is eye-catching, with a great user interface compared to Windows 8 and 7. For instance with the current technology of projecting a screen without a VGA or HDMI cable, both windows Windows 7 and 8 are not able to perform that task. its has the latest security and management features. With OneDrive which is a feature in Windows 10, you are able to back up all your documents, pictures even screenshots. For screenshots, all you need is just to press the screenshot key and it will automatically be backed up. this way in case you lose your device your data will be secured and you can access it with any other devices wherever you are. The user interface is still in work progress since when you update the OS the user interface has to change. It requires internet, for instance, when you use windows 10 for a month without any internet connection, the moment you will connect your computer to the internet, it will have first update itself that will take maybe hours. This means that it will have you suspended for some time hence if you had any work for submission will be delayed. Cortana is limited to some regions, for example, countries in the third world are not supported like those countries in developed. Windows 10 is predicting how the future of computing and OS would look like. For that purpose to be in the current trend of the best software update and security features everyone who owns a computer should at least be able to purchase the product. I am able to install the latest software with its 64 bits version for my programming venture. Windows 10 is another successful Microsoft system. Its main advantage is the renewed interface, which is a hybrid UI subway interface with a very popular Windows 7 interface. Another huge advantage is the many options to personalize the system according to our preferences. Another plus that I noticed when using Windows 10 is the fact that it improves hardware performance and connectivity to mobile devices, so we can quickly create an ecosystem. Windows 10 has also introduced many useful tools such as Microsoft store, thanks to which we can install many applications or support for many desktops, making work more comfortable. Windows 10 is easy to install, and most devices are detected automatically, so you don't have to search for drivers for all the components of your computer or workstation. One of the drawbacks of Windows 10 that I noticed during long-lasting use are updates that often affect the disadvantage of users, in my opinion, Microsoft should contribute more to this. Another major drawback for some users may be the cost of purchasing a license for this system, which is more than $100! If you are looking for a system that will allow you to work on your device in combo mode, you should consider using Windows 10 for this purpose, because it has support from developers who will not stop releasing new solutions. Thanks to Windows 10 I can use the full potential of my computer and work comfortably with several applications. "Windows 10 is the best operating system! " I like that Windows 10 now has the option for apps and such. Having grown up with Windows 7 and then switching to Mac at my first job, it's nice to now be at a job that utilizes Windows 10. It's a more streamlined and user-friendly system. Cortana is very helpful on finding things when you are first figuring out the new layout and where everything is kept. The 3D paint option is wonderful! Windows 10 definitely takes some getting used to. I feel like it's easier to use on my touchscreen laptop than it is on the desktop, which is tricky when I use the desktop for work 8+ hours a day. Windows 10 helps organize things better than Windows 7 or Mac does, it's easier for me to jump between projects at work now. The added benefit of being able to use apps is a great way to bring a classic system into the 21st Century! "Excellent GUI - You learn with ease on it,"
Searching is very easy as it has given a special toolbar to search apps and documents. Cortana is key feature of windows 10, it is voice-based assistant which help you to run apps and do activities like setting alarm. Sticky notes help in remembering things and need not to be saved even if shutting down your computer. It has windows firewall to defend system again malicious files. Errors are very clear to understand and to the point which can be either understood or they can be searched online(solutions easily available) and sorted easily. Required high resources to run such as memory and ram.It is a Close source software i.e. no access to its software's source code hence a normal user cannot customize according to his/her requirement and also cannot contribute to it.Windows security is weak(prone to viruses). Not free rather costly. Use it if your are new to computes. It is easy to use and easy to deal errors as almost all the errors have been sorted and solution posted online. Windows 10 is extremely useful as it help to run all my software. Software like android studio, sublime, code blocks, ms office and many other which are required for my day to day work. It's interface help me to focus more on work rather than understanding/learning functioning of windows. "Windows 10 la mejor experiencia en sistemas operativos actual." Este sistema operativo es uno de los mas innovadores del mercado, cumple con funciones avanzadas que garantizan la mejor calidad de rendimiento del ordenador, cuenta con una versión gratuita y una paga, que a pesar de alto costo económico en las versiones pro, vale la pena obtenerlo por sus múltiples funcionalidades siendo este un sistema operativo de alta cantidad de software libre y funciones optimas , se ha convertido en el favorito de los usuarios que requieren de un alto rendimiento estable,no obstante aquellos usuarios que poseen un ordenador de bajo rendimiento,no se quedan atrás, Windows 10 posee versatilidad en rendimiento, solo se debe cumplir con el mínimo de los requisitos para disfrutar de este magnifico sistema de preferencia, haciéndolo mas ligero en el consumo de recursos que sus versiones anteriores, ideal para equipos portátiles, cuenta con un sistema de actualización inmediato siempre que este disponible y un sistema operativo unificado. En mi punto de vista el hecho de que algunos antivirus no funcionan correctamente tras algunas actualizaciones de Windows 10, es lo que puedo connotar a que algunos antivirus dejaron de ser compatibles. Les invito antes de instalar cualquier antivirus, ir a la pagina de Windows y verificar los antivirus compatibles con este sistema Windows 10 para prevenir fallas en el futuro. A pesar de ser uno de los grandes sistemas operativos de alta calidad que uso en mi ordenador personal como en mi trabajo, he tenido inconvenientes en encontrar un antivirus compatible que no falle o deje de funcionar en el proceso, lo reconfortante es saber que windows 10 cuenta con una defensa contra archivos maliciosos, pero nunca esta demás tener un antivirus que funcione correctamente con este sistema operativo para mayor protección de nuestra información. "Extreme user friendly operating system I Ever Used." windows 10 has the best GUI interface in among all of the operating systems I like the most of the features of the windows 10 windows App Store is great and you can install whatever software you want easily. windows 10 doesn't has any lagging or slowness of the PC so you can work on the computer extreme fast. most of the third party applications were compatible with windows operating system and works perfectly with windows 10.
sometimes windows 10 updates were make crash my pc so you need to test windows updates before you install. and price for operating system is expensive. windows 10 is the most famous and reliable operating system with among all other operating systems and it's the most attractive and easy to use GUI friendly operating system which anybody can work easily. 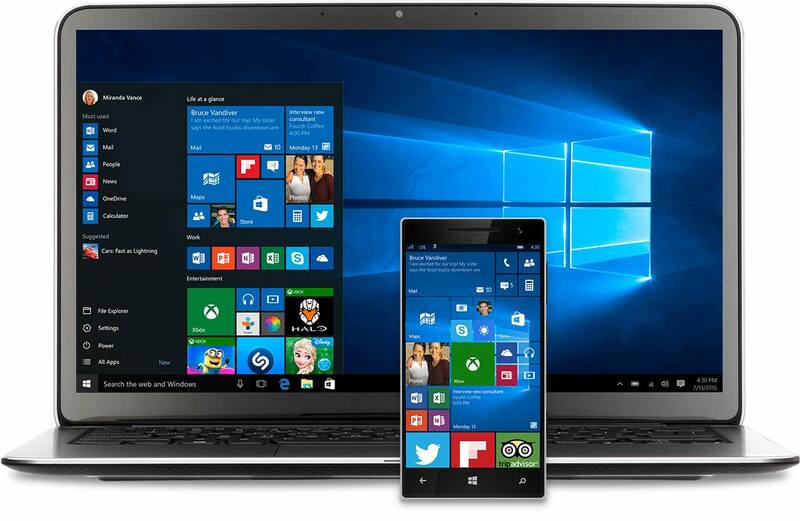 windows 10 has great performance and best for the home and office use without any lagging or slowness. windows 10 is the main operating system what we use for end user PCs and laptops so it works as platform for each individual computer with end users so windows has great support from Microsoft and they provide seamless windows updates features. "EXCELENTE, PARA LA CASA Y EL TRABAJO!" A pesar de las grandes fallas de Microsoft con sistemas operativos anteriores. Este es un sistema que es muy completo para usar en varios dispositivos. Es muy rápido y estable, además cuenta con muy buen soporte de la empresa Microsoft. Aporta muchas mejoras y dinámica, la API es muy limpia y sus píxeles más altos. El tema de la seguridad, ya que los virus son una amenaza para el sistema comercial y más en Windows. Aunque la seguridad de Windows 10 es medianamente buena gracias a Windows Defender, lo mejor sería agregar un antivirus porque Windows Defender a veces no los detecta. No es posible satisfacer a todos, pero recomiendo ampliamente este sistema operativo. Con su interfaz, Windows 10 hace uso nuevamente del tradicional botón de inicio y además de todo lo combina pero con un enfoque moderno y actualizado, con modos de control como pantallas táctiles, digitalizadores, entre otros. Además es más personal y productivo, introduce la voz, el lápiz e incluso los gestos para una mejor interacción con los diferentes dispositivos. Windows 10 está diseñado para trabajar con Office y Skype y permite al usuario combinar diferentes aplicaciones y estar mejor organizado mediante las nuevas funcionalidades Snap y Task View. Esta plataforma ha simplificado mi trabajo y lo ha hecho más cómodo , puede cargar de forma rápida una gran variedad de software. "Excellent operating system I recommend it"
The amount of constant updates are very annoying. I give you an example of what happened. I was programming a php system for the company, I had not saved the code for the moment I was absent because I went to lunch when I returned to the work area the operating system had been updated so I re-programmed the code in php . I installed windows 10 two years ago, Is one of the most excellent software for computers in the world, Windows 10 is modern, have many programs to make more easy use the computer. Windows 10 was not the best in the past, but after some updates it is going better. The Cortana is very useful. I like that I can use it in tablets, desktops, even in phones. The support is really good. The interfaces is very professional and friendly. I like many things about Windows 10. The updates usually have to be obligatory and if you don´t have time to do the update and you have to work fast, what are we going to do? We have to ait that your computer updates and later you can work. It is not good for me and others persons. Also, the price would be lower. I think that they can review that. It has a new notification center you can see past notifications that you did not see on time. It have differents way to watch noticies, your work is more easy, you just have to use it to have a experience very comfortable. It is really useful. I can see my e-mail everywhere because I have the notification bar that can let me see it and review it, I can do documents with Windows Office, and also see movies with them so... I feel good with it. 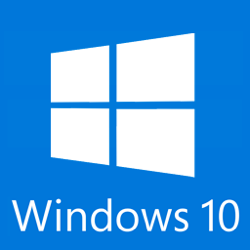 "Windows 10 for seamless usage"
Windows 10 is easy to use, boots faster and it is user friendly! The best thing I like about windows 10 is it's snipping tool software! This software comes with Windows 10 and it's used to take screenshots! Windows 10 also comes with builtin Antivirus! 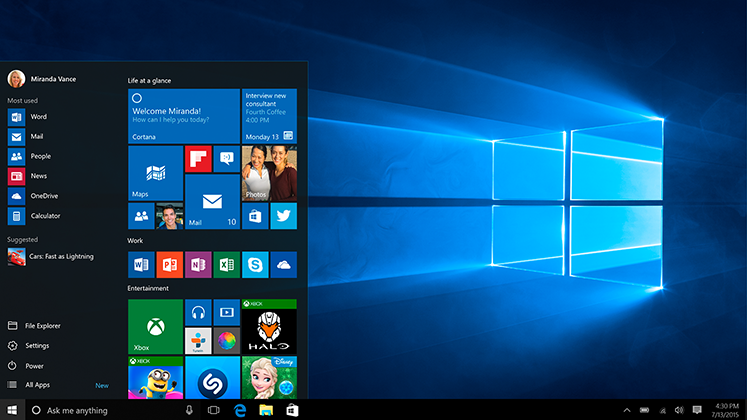 2) New Windows 10 has been the best os among the windows series with so fast interfacing. 3) The Cortana is just very responsive and good. 6) Amazing and cool Xbox apps. 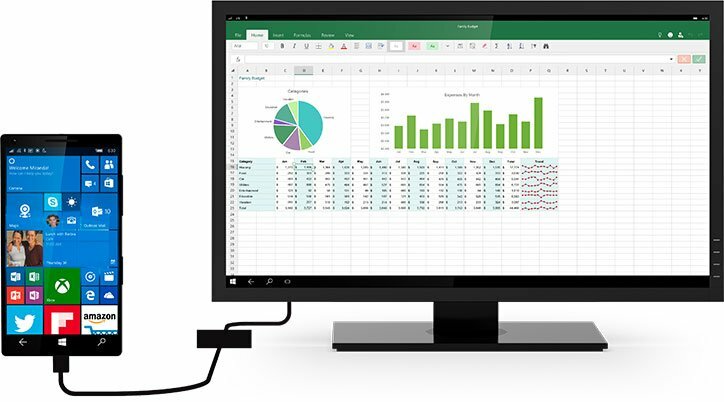 8) Windows 10 can be used on desktops, hybrid pcs and tablets and even mobile phones. 1) Ros support for developers. Though launched recently it will still have many issues to resolve. 2) Quite heavy for development purpose. OS like Raspbian and Ubuntu are preferable. 3) Linux is free of cost. 4) Mac OS has great free softwares. 5) Apps support isnt so well compared to iOS or Android. I use windows for professional reasons. Mostly for making presentations, editing photos, videos, watching movies and even reading academic papers. I also use it for CAD modelling in Solidworks. I also use it for software development purpose. The ROS support now makes Windows even more powerful than ever before. Various apps interface makes work so easy to go . "Integrated operating system, safe and easy to use." The operating system seems excellent and has various functions that simplify our lives, however, after the time of free use, a high amount must be paid. In any case, you have to analyze the cost-effectiveness ratio and I think it's worth it. With Windows 10 you will have an easy-to-use operating system, with a good interface, as well as many security-level options. It is a unified operating system with data integration in the cloud. For a company this operating system is fundamental for several reasons: Good security and encryption options, biometric passwords, the possibility of customizing different desktops, unified system and integrated data service. "Windows 10 - Better than 8, but far from 7." I like that Microsoft decided to bring back the "start menu" even if it looks alot different. Windows 10 is fairly stable at this point. I like the Quick Assist function that they added - this is a great remote support tool. I dislike that Microsoft has chosen to MOVE every known setting to an inconspicuous place. I do NOT like the "panels" for settings. I don't like having to open those metro windows just to see printer properties...I do NOT like having to choose a default browser over Edge CONSTANTLY. - They even put in an extra popup window to prevent you from changing default browsers easier. If you like 7, stick with 7. If you have 8 or 8.1 - do yourself a favor and upgrade. General workstation usage. The OS runs Microsoft Office which powers businesses everywhere. I use SMB shares off of a Windows Server 2016 box. I wish collaboration was a little better with the desktop apps. "The absolute best OS at the moment and Microsoft's finest." I understand the reticence. Microsft tends to release a very good OS followed by an atrocious one, but if you follow the pattern we were due for a very good and MIcrosoft delivered. Following the spectacular failure that was Windows 8, Windows 10 is fantastic and easily the best OS I've ever used. Improving over the already great Windows 7, Windows 10 is beautiful, has a gret ui, brings back the start menu and the classic windows functionality, but with a more modern look. It's stable, has been crash free in my experience for years (and that's for a power user), it's very intuitive, has the absolute best driver and device support out of any OS I've ever tried, with mostly every product just working plug and play. The security suit is the best it's ever been, completely eliminating my need for an external resource heavy AV software, resource management is spectacular for a product of his features (I'm currently using a 10 year old PC with DDR2 and it runs superb). It's very efficient, safe, intuitive, vastly available, compatible with mostly every software available, and looks better than any of its predecessors. Price could be lower, the included web browser is a very inferior option. It's not easy to disable unneeded features. The "Windows store" even years later is still a failure, and inferior to just downloading standalone versions of those programs. Just upgrade, no questions asked, absolute best OS available today. Everything I do on a PC is done running a Windows 10 OS, it is essential for my every day computer and any and all tasks that I do on a PC. I like so much the compatibility, I'm not talking about the typical software that this also is an advantage, I mean, about another SO, since the 14316 compilation, the compatibility with Ubuntu, and the opportunity to use bash in a native way, it's just amazing I've used since the release and it runs very well, since this release me and my team let the classical virtual desktop or the dual boots. And even you can do this in a easy form. With Pro edition we improve the performance with another SO, using Linux bash but that's not it, the new tool to configure the IP manually if I'm using ethernet wire it's really easy. "It's a massive improvement on Windows 8"
Windows 10 is much more user friendly than Windows 8. They put the start menu back where it belongs, for one, and while I'm not wild about the tiles, it does make it easy to search and find what you need. File Explorer is unchanged, and it's still easy to navigate to network devices. I'm not crazy about the tiles instead of icons, and I don't like the new update that's going to demand 7GB of space all the time, especially when you have smaller devices like tablets using 10. It's easy to upgrade client computers to Windows 10, even now. Just download the Media Creation Tool, run it, and walk away. "One of the best operating System"
it's very easy to use and have very good security and have multiple desktops to perform multi-task. compatible with all systems and very easy to connect with phones and also has tiles based desktop system where u can arrange ur frequently used apps for easy access.It gives easy connectivity to other systems through the internet or Bluetooth. the most disliked thing in this operating system is frequent system updates. it is very annoying. sometimes it also has a problem with internet connection. need more apps in window app store . best and reliable and compatible for all ur machines have very less momery space compared to other operating systems for prefessional works it is very effective and secure more than other OS. it gives the compatibility with all my software having 32 bit and 64 bit very light startup and use very less storage compared to other windows. its has very high speed processors and inbuilt graphics advantage. connect with phones without any interfacing software. "It is not the best but better then other windows "
Windows 10 takes a lot of sharp criticism in the past, but after some updates it is going better and better. It has Directx 12 support for games, and it is more stable window for gaming experience. You can create desktop1 desktop2 for different purposes. Also, file transfer is good, you can pause and an-pause it. It is the best alternative if you playing video games and i recommend it but, make sure you are up to date you windows. Windows 10 gives blue screen sometimes and it may give weird errors and restart your computer, that is so annoying. It has some bugs that never solved. In my opinion it is the most unstable windows ever created. Windows 10 released with a lot bugs. They should fix them before release product. I am using it everyday in my work and also in my home, it has good and easy interface when it works with no error. It has detailed control manager to manage your needs. "Better Than the Old Windows "
It's a definite improvement off of the old Windows operating systems. It's much more user friendly and easy to use than the older Windows, which felt like they were stuck in the 20th century. I definitely feel like they've taken a cue from Apple OS, you can very clearly see the influence on it from them. It has a very minimalist and contemporary design, with clean, easy to read and notice buttons and icons for everything. I don't like how bland it can be at times. It's difficult to find the system controls on it, and it can some times be hard to read because the fonts are so small. Apple OS always makes everything easily reachable, viewable, and understandable. Windows has always been kind of the ugly cousin that can't get their act together, and never knows quite how to organize anything so that you can actually find it. The only way to find things sometimes is through the search bar, which ends up coming very in handy as a result. I think that Windows 10 is a great tool to use in a work environment. It's practically ubiquitous, and easy to get just about anything you need to do done on it. I use windows 10 at work for pretty much everything, since it is the operating system that the computers we utilize have. It's been helpful for the most part, and it's pretty easy to get the tasks needed to be completed, done. It's usually relatively easy to find the icons and buttons for all the different applications and services. "Windows 10--More like the pins we're use to"
Windows 10 reminds you of your iphone, pinterest and any other box like format to display and format information. The new design is cleaner, simpler and easier to navigate. The look and feel are great for a novice computer user or experienced one as well. The welcome/start menu is easy to design for yourself, cortana with its voice activation is super and I love the task view--you can pull two documents side by side and work away even on a small laptop screen. While I like the desktop prompts that are available they can be annoying and for some the menu and square box style may not resonate as well. Fortunately, you can go back to the old style layout as needed. Windows 10 makes managing all my software needs easier and more efficiently. "I don't like it even it's better on design"
Yes it gives better user experience. Design is awesome . Cortana is very usefull. First of all windows 10 is not stable. i get blue stop screen very offen . when i start my PC , sometimes, it can't read sound cards ( erreur reading memory?!!). Too many software are enable to reach it high resolution and stop doing there their job ! Even some of them can't be installed . Skype, one of the most software i need on my work, become unusable! when i was on windows 7 for 3 years it was perfect! There is a tons of updates every day and even if you turn it off it still download things ! I am a wedb developer so i use it every day on my work. When i will be more efficient i will buy a mac and all this pain will go! Benifits are a lot , i am paid for coding and without windows i can't ! "after so much to the end windows 10 is very good"
"I really miss Windows 7"
There are a lot of new features with Windows 10, if you are someone who likes new features. A lot of the core functionality of all of the past versions of windows are still there, they just added more visual twists to it to make it more appealing to a younger crowd. I don't like the main menu and how they tried to make it look like a tablet interface. I It's hard to find some of the programs I have installed, but at least there is a search. It tries to hard to integrate new things that no one even uses, like using the microphone to search in the search bar and other things like that. It's hard to find settings. FInd a way to switch from tablet view to normal. Our whole company uses WIndows so we needed to update eventually. We have a lot of web based products so we have to make sure that WIndows in this version works with all of the products that we offer to our customers. "It is a the best Windows OS I ever used..."
It runs smoothly without trouble and I like the updates I received which keep on improving my user experience. Only thing I dislike is that when some updates happened, sometimes for few days system will give issues in other software. This is a wonderful product and the best Windows OS I ever used. I loved Windows 98 and Windows 7, but the best is Windows 10. I am using this for my day to day work and it always helps me to get maximum out of my PC. All most all the software I used in my day to life(for professional and personal work) runs smoothly on this OS. Coming from Windows 7, I can say that this is a very good improvement over previous versions. Does not interfere too much with your actions with too many popups. Microsoft has upped its bar this time. Though there is not much to complain, some of the settings are not easy to find. They have grouped together all the settings and I have to google everytime when I have to find how to change a particular setting. Takes some time to get used to. Easy to use. Very short learning curve. Non intrusive. The new internet explorer provided with the operating system is very good. Very sleek and fast. Things to note are, a person coming from Windows xp, 7, might find it different as some of the settings are completely in a different location. Since we started using Windows 10, our turnaround time is faster as the OS itself is sleek and fast. As a result, more work can be done in the same time. "Love Windows 10 and the direction"
What i love the best about t\Windows 10 is the fact that they have decided to stray from releasing a next version time after time and have been making 10 better with updates. The customization over other OS's really put Windows 10 aside from the others. Windows 10 can be buggy at times with older software ever when using compatibility modes. Investigate all aspects before launching with you users and be sure of all potential faults or glitches that could arise. Windows 10 give the ability of great work station sharing. When everyone is using the same platform it also makes sharing of documents and files much easier. On a IT Admin side it gives great ability of updates and regular maintenance. What can be noted in this version of the Windows system is simplification and acceleration. If we talk about acceleration, it's great that now the system contains a lot for work and after installation it practically does not require tuning. It contains most of the drivers, which reduces the funds for starting the workplace, as well as various utilities which by tradition I have always added in previous versions. These include the archiver Zip and the tool for Mount virtual disks. A better security system, in particular an anti-virus system and a garter to the account. Another significant plus in the speed of the program. It's hard to judge but in my opinion on my old laptop Win 10 works much faster than XP or Vista. For me as designer much more like the simplified design of the shell. It is more compact and looks more stylish. In general, Windows 10 makes work much easier and makes you happy with innovations and improvements. I would add or remove a lot of things. For me, always very important function in Windows was its customization, which allocated it from other products very much. Unfortunately in this version, you can configure the program on a smaller scale. For example, Interface design can be customized but within certain limits. I would be glad to see the taskbar not black. If I say that I would remove it, I can remember the start menu. I have to delete win pins with products that do not interest me. Another inconvenience is this rather confusing settings menu and the same it is not always logical. For example, in the device section a speaker is drawn, but there are no sound settings, as it turned out in the taskbar. I would have made a small map of the settings menu where you can immediately see all the sections, main and secondary. The same problem with the menu "all apps", when installing a new program it can be difficult to find it in the menu. I recommend using Windows 10. You will keep going up-to-date. Windows 10 helped me in the design. This platform has simplified my work and made it more comfortable and stylish. "Windows 10 is a familiar operating system that most people can be comfortable using"
One of the main reasons I like Windows 10 is that I can have access to more software titles than other operating systems like macOS or Linux. It has a very familiar layout that most people are used to, so if you have people that need to come in and use a Windows 10 computer, there is less likely to be much training needed for that. I like that Windows 10 has a built-in store where I can do a quick search and find software that can be installed immediately. There are some lag issues that pop up from time to time. For the search field in Windows Explorer, I'll sometimes type something I know is in a certain folder, but no search results will pop up. Sometimes I'll click on the search bar near the start button and it will take way too long to load. I feel like Microsoft probably felt the need to design certain things differently just for the sake of being different. I'd recommend Windows 10 to anyone what wants access to the most software. If you want to save some money, you can maybe give Ubuntu a try and see how that works. It can generally do most of what Windows 10 can do, in terms of managing files on your computer, but having access to more software might be an issue. I'm able to have an operating system that can load a wide variety of software. Windows 10 is a very familiar environment, so it doesn't take a lot of getting used to for most people. Almost everyone that works with Windows 10 is familiar enough with it to be able to manage on their own right away. Even though it's such a simple application, the Windows Notepad is something I use often to take notes. "Windows has the market share, so sometimes it's the only choice"
Software applications that won't run on Linux, run on Windows. To be fair, I'm a huge fan of Linux. (Try Ubuntu). I only use Windows when I have to. That being said, Linux is a little hard to learn, and it's not for everyone. Updates have a very poor UX. They always seem to happen at inconvenient times. I have even scheduled them at 3am, only to sit down to work in the morning to a button that says "Click here to start your update". Security. Windows is not very secure. Don't store any sensitive information on a Windows box. Anti-Virus software, that I can never quite figure out how to uninstall or disable, and it sometimes prevents me from doing things I need to do. Bloatware. I can run Linux on really old computers, and not notice performance problems. If you tried to run Windows on an 8 year old laptop, if it's even possible, it would be super slow. Learn Linux, lol. Just kidding. Linux is not for everyone. It's a fine OS for most people. Just be careful, and don't store any passwords or other sensitive information on it, and don't open any attachments on emails from unknown sources. And find someone who understands the way they do the updates, and get your update settings set right, to make them run at convenient times. Most software applications run on Windows. Linux is my OS of choice, but I have to keep a Windows box to run the software that won't run on Linux. The price may be expensive since they switched to a subscription model. Its a great operating system with lots of features and frequent updates. We use windows 10 for collaborating in or organization and therefore a lot of time and tons of money. "We need a viable Windows 10 alternative !!!" Windows 7, Windows 8.1, ANYTHING BUT Windows 10. Windows 10 ridiculous Telemetry, unscheduled forced updates, etc. Microsoft's arrogant high handed approach to forcing updates. Microsoft forced program of updates in order to promote sales. Wasting our users times learning a new interface every few years. Windows 10 is the worst OS that Microsoft has ever produced. Unfortunately, some consumers are too stupid to realize that they are nothing more than unpaid beta testing slaves providing free labor for Microsoft. "The benefits of using Windows 10"
This software is easy to use and can easily adjust for the new features since I am upgrading from windows 7. The features are nicer than the previous types of windows and the new features are relevant and the interface is simple but good. One thing I dislike about this software is the updates are forced that means when you need to do something in your PC you need to stop it and do the updates first or when you're about to shut down your PC or laptop and the update word was replacing the shutdown the button. I recommend this to anyone especially on users whose using windows as their operating system to upgrade to win 10, its not that hard to adjust in using the features. It meets my needs which have the voice activated assistant software cortana which can respond to any of my commands in web searches or other reminders. "use at work and in my house I also install it and help people"
It starts fast, has free applications of the store easy to install and do not take up much space. I like his graphic style. with everything and its details of some faults I like it. that is still not compatible with many applications, the net framework 3.5 is not installed and there are several applications that use it and nothing, I will damage the Edge with the last update that installs it to windows 10 and now it does not work, and I have not I could fix it even with the indications of Microsoft. Before installing it, they should check compatibility with the applications and devices they use, as well as the capacity and processor of the equipment. But really installing is very good to see that it fails, but it fixes itself. that the boot is really fast, turn it on and on. twitter, instagram, mail, once logged in, instantly informs you when information arrives or they send you a message. It keeps you informed without having to open the application every time to review it. "A huge improvement over Windows 8"
I love the flexibility Windows gives me. I can tinker with almost all of the settings to my own liking and make my laptop my own. I don't get annoying security pop ups every now and then saying that I cannot change this or that. Moreover, Windows have done a great job of improving performance compared to Windows 8. I like the multiple desktop feature. The initial performance starts to deteoriate after heavy use. I feel my laptop becomes clunky after a year or so and I need to refresh/reinstall Windows to clean up the system. The security is also lacking and needs to be improved. I use Win 10 for my personal computer and also in office because we develope ASP.NET products. I like the ease of use. It hasn't had any issues with crashing and it's easy to find what I'm looking for with the search tool. It took time to adjust and learn my way around. Some of the updates to the OS made things a little difficult at first. I've been a Windows/PC user most of my life and it was still a little tricky at first. Take time to play around with the UI. Figure out where things are now located and use the search tool to find what you're looking for. There aren't a lot of issues with the previous versions of 10. The updates are nice and the UI is decent but, I'm not sure I've noticed any additional benefits in my day to day business. Simplified OS, but do not lose features, and accelerated, use less resources and is more performing. After installation, it practically does not require customization and included commonly used products such as the ZIP archiver. It is not very stable, often some software freezes, files remain in use even when they are not, etc. The updates are too frequent and too large. The view for applications is intrusive. Windows 10 is the must OS in a work environment. Simple to fix even in case of anomalies. It remains the easiest OS to use and easily supports most products. There is no competition for daily work activities. I like the several advanced features added to Windows 10 to make give it a modern look and operation. It's easier to search your computer with Windows 10 than previous versions. Also, the look is pretty and user lovely. Some functions are now difficult to locate in Windows 10.